Do You have a Meter Base that is coming loose from your house? Do you have good straps on your riser pole or have they come off? Over the years everything becomes weaker. The wood your service is supported by, and even the supports used to hold your service up becomes loose and weak as time rushes by. If you have had any storm or wind damage and think it’s not that bad because you don’t notice anything yet, think again! Please check your electrical service outside to make sure it is properly secured and supported. Even if the box or conduit is just a little loose, the movement can cause damage to the wires and eventually a very big FIRE HAZARD! 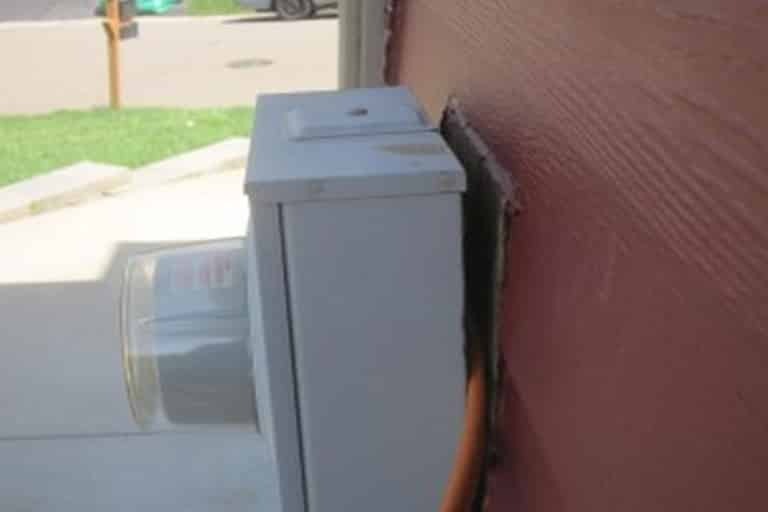 Let us properly secure your service riser and check out your connections as to prevent costly repairs and potentially devastating damage. Some things just aren’t worth the risk, CALL US TODAY!